I did an exclusive mix for the legendary Ninja-Tune-operated Solid Steel show. Hope you dig it. 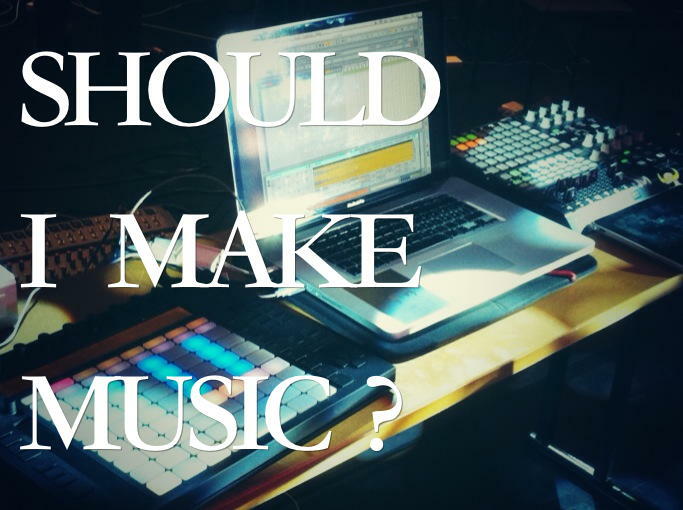 I addressed a question, ”Should I continue making music” on a music forum, and upon finishing, I thought that the reply, which came out way longer than I initially expected, would make a decent blog post, for it’s been in the back of my mind to blog about that particular topic because, every now and then, I am asked how long I’ve been making music, how long did it take until I started getting songs released – ”Should I quit because I’ve been making music for X years and still haven’t got signed” etc… so here we go.